My husband saw that Dunkin' Donuts was selling a new product "Strawberry Shortcake Croissant Donut" the other day, and we bought one. 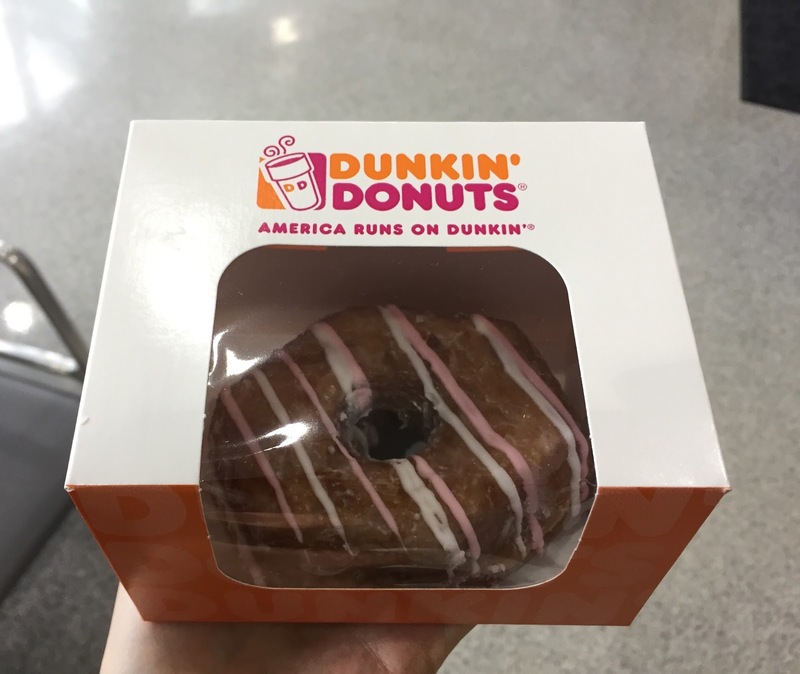 It's our first time to receive Croissant Donut in a box, and it's really nice so that it's easier to carry without breaking the fragile pastry. There're white and pink chocolate drizzles over sugar glaze. 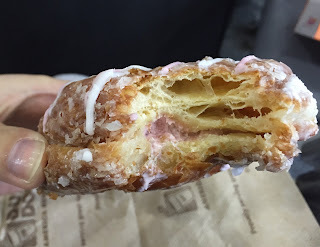 The outside was crispy and the inside was soft and moist, and the strawberry filling was sweet and sour. 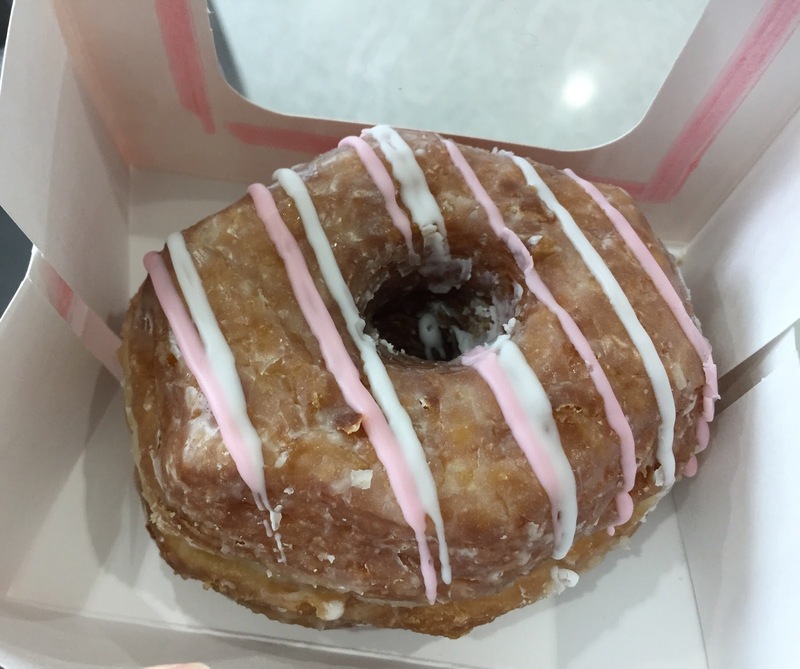 I wish the glaze was poured less because I pretty much tasted the sugar glaze instead of fruity strawberry flavor.